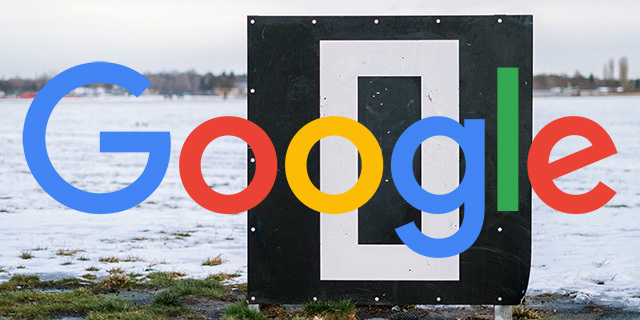 This is not a joke, Google has officially launched showing zero search results - yes, showing no actual search results - for a some very specific types of queries. 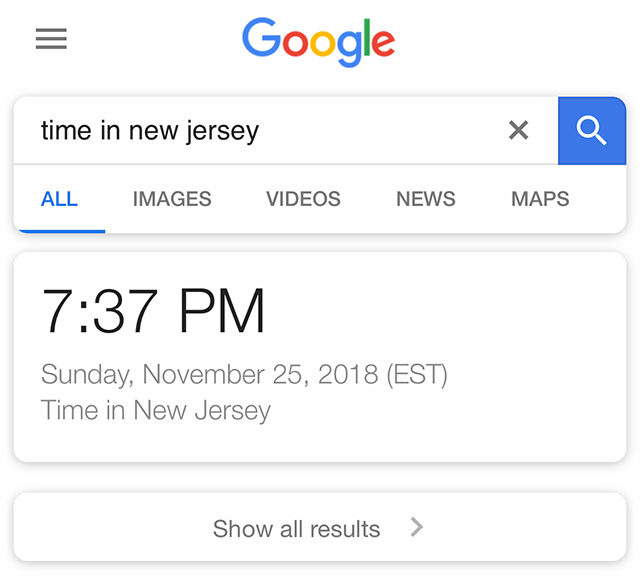 When someone searches for time/date, conversion or math related answers - Google may just show the answer with a button to click to see the search results. 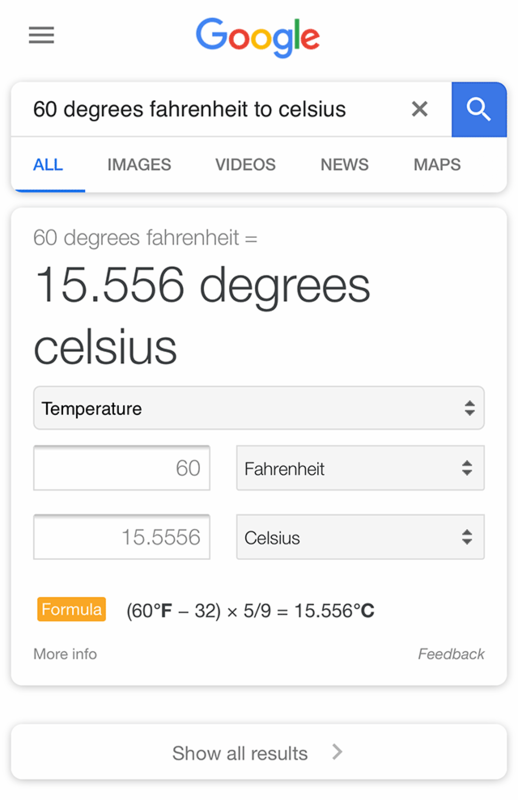 Yes, Google actually decided to show absolutely no search result snippets in the search results. Google tested this back in March but after a lot of negative feedback, Google dropped the feature only after a week of it being live. As always, our goal with search is to help people quickly find the most relevant information. For queries where we have extremely high confidence that a user is seeking a calculation, unit conversion or local time, we will show a single result to improve load time on mobile. Since our initial experiment in February, we worked to remove ads and improve the triggering quality for this experience to be sure that we’re serving users what they’re looking for, and we will still provide the option to tap to see more results. So it is on mobile only for now, for only calculation, unit conversion or local time related queries. And in some cases, even for some time related queries, Google may decide to show search results. 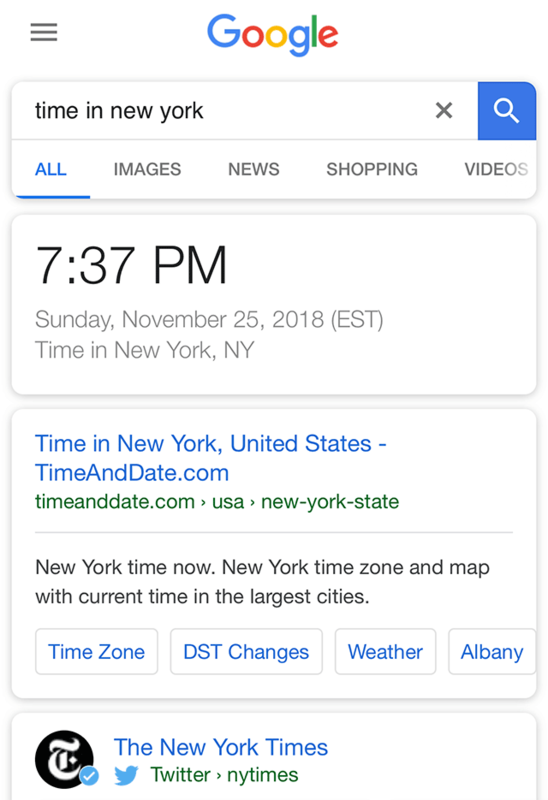 For example, if you search for [time] - you might want Time Magazine, so Google shows the current time and the search results without having to click to see the search results. Then we caught Google testing showing zero results again in September, Google called that a glitch and it disappeared. Now it is back. Sergey Alakov spotted it first yesterday and posted about it on Twitter. 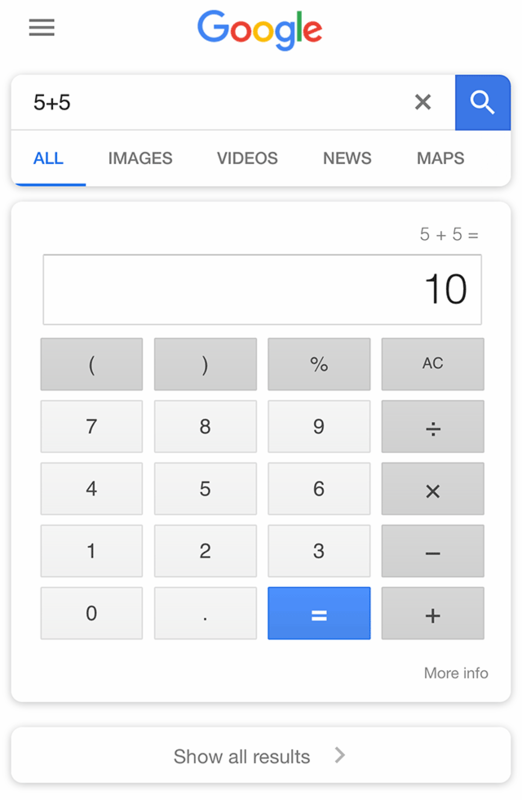 So yea, Google is doing this - for real. 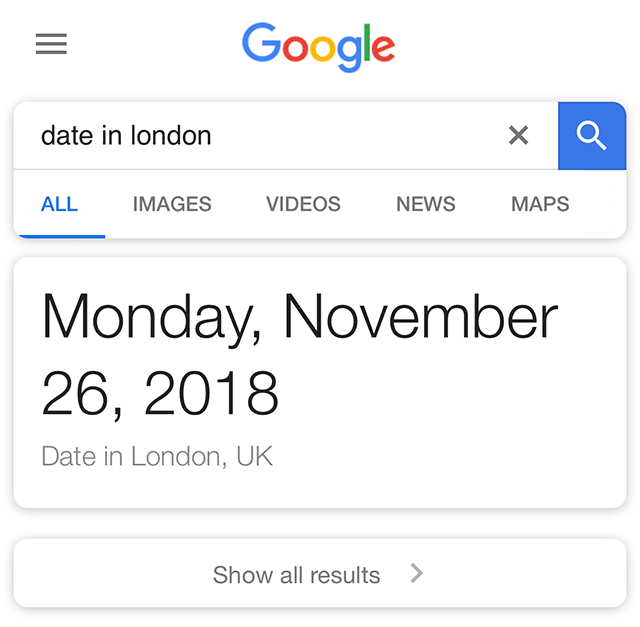 Note: Google told us that searchers in the UK will see a full page of results, including results for date activities/ideas. I am only getting this response because I am not un the UK.